Please grab your nearest salt shaker, and liberally sprinkle it both on and around yourself. Why? Because supposedly the character of Indiana Jones may be recast, and supposedly Bradley Cooper is up for the role. And who just might be one of the actors that the studio is looking at ? The word is that they are looking at several but Bradley Cooper is at the top of the list. 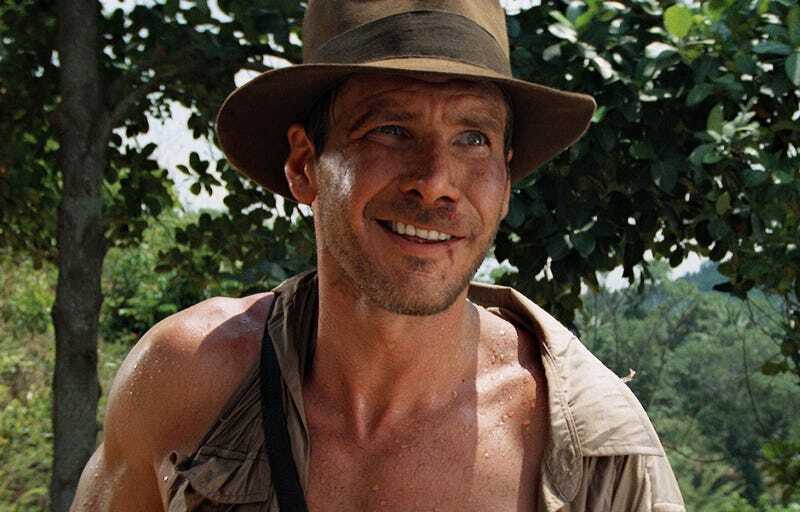 So the rumor here is this: Harrison Ford is still Indiana Jones for the time being, but if somehow George Lucas, Steven Spielberg and Harrison Ford don't agree on a story by some point in the near-ish future, then the role may be recast, and Bradley Cooper may be one of the actors Disney asks about the role, and then Bradley Cooper may be interested in taking it. So let's not start fitting Cooper for fedoras just yet, shall we? I have a strong suspicion that a firm deadline will inspire the original Indiana Jones triumvirate to agree on a script, even if it keeps getting rewritten while they're shooting Indiana Jones V: The Search for Mutt's Gold.